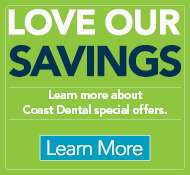 Coast Dental of South Georgia P.C. 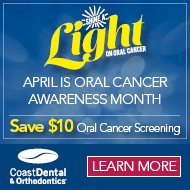 SmileCare Coast Dental of California, Dental Group of ADAM DIASTI, D.D.S. P.C. Persons Involved In Care: We may use or disclose health information to notify, or assist in the notification of (including identifying or locating) a family member, your personal representative or another person responsible for your care, to the extent necessary to help with your health care or with payment of your health care, if you agree that we may do so. We may also advise these persons of your location, your general condition, or death. If you are present, then prior to use or disclosure of your health information, we will provide you with an opportunity to object to such uses or disclosures. In the event of your incapacity or emergency circumstances, we will disclose health information based on a determination using our professional judgment disclosing only health information that is directly relevant to the person's involvement in your health care. We will also use our professional judgment and our experience with common practice to make reasonable inferences of your best interest in allowing a person to pick up filled prescriptions, medical supplies, x-rays, or other similar forms of health information. Appointment Reminders: We may use or disclose your health information to provide you with appointment reminders (such as a voicemail messages, text messages, e-mails, postcards, or letters) or information about treatment alternatives or other health-related benefits and services that may be of interest to you.